If you have a progressive life threatening illness, the Palliative Care Program may be able to help you and your family through this difficult time. You can access palliative care services through a PEI Home Care office near your community. How will I know when I need palliative care? the goals of your care have changed from treatment to comfort. 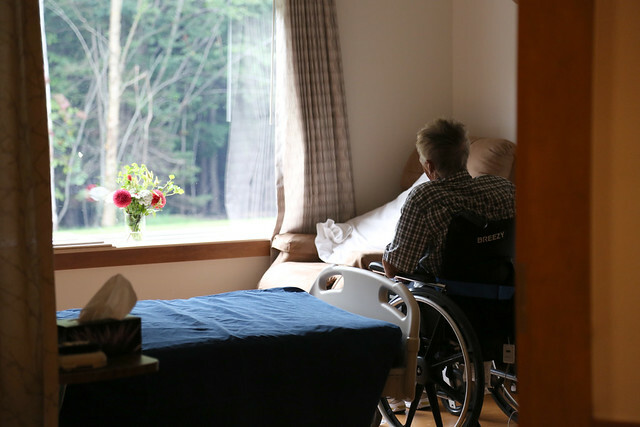 Will I have to leave home to receive palliative care service? Trained, qualified palliative care teams provide comfort and support in the setting most appropriate to your needs – at home, in a long-term, community or palliative care facility, or in a palliative care bed in an acute care setting. What is the Paramedics Providing Palliative Care at Home Program? Should a palliative patient experience an unexpected event while at home during after hours*, in-home support is available through Island EMS. By calling 9-1-1, trained paramedics will help provide care and support to you or your loved one at home. Island EMS paramedics are trained in palliative pain and symptom management. There is no fee for this in-home service to patients registered in the Provincial Integrated Palliative Care Program who have a valid PEI health card. Learn more about the Paramedics Providing Palliative Care at Home Program. *After hours is the time when your Home Care Nurse is not regularly available. Please consult with your Home Care Nursing team. How do I contact someone about palliative care?